Last December, Congress tucked a provision into the new tax law that mandates oil drilling in Alaska’s Arctic National Wildlife Refuge, which is among the nation’s most treasured natural landscapes. The administration is aggressively pushing the plan, hoping to offer lease sales next year. Now, the public has a short window to raise environmental concerns about the sales, with comments due June 19. The Arctic Refuge, derisively called “An-War” by Alaska’s congressional delegation, fell prey to oil interests when Alaska Republican Sen. Lisa Murkowski inserted the drilling provision in the unrelated tax overhaul. By circumventing the legislative process, Republicans escaped the public outcry that for decades successfully thwarted any attempt to drill in the refuge. 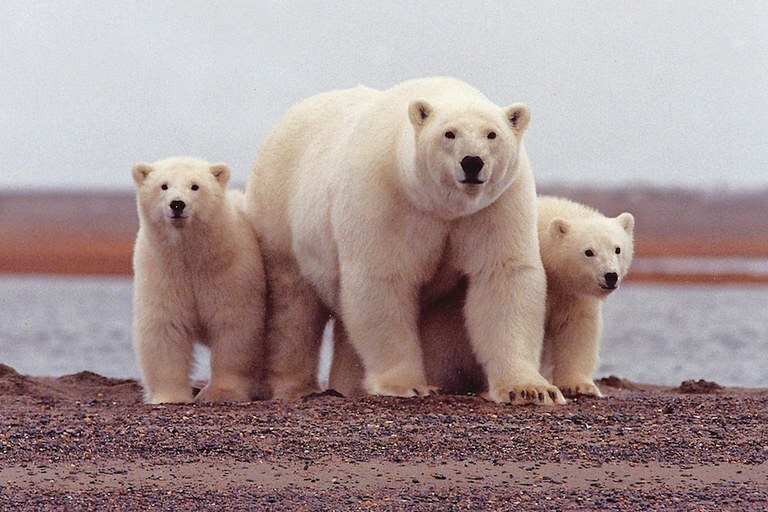 Alaska’s Arctic National Wildlife Refuge is home to a variety of wildlife, including muskox, caribou and polar bears. It was only the second time U.S. law specifically addressed something called “wilderness.” Howard Zahniser, principal author of the 1964 Wilderness Act and a close friend of the Muries, drew encouragement from the success as he slogged away at his battle for a wilderness bill. In 1980, Congress reaffirmed the area’s conservation value, enlarging it and designating much of it federal wilderness. But Alaska’s development-fixated delegation successfully withheld the 1.5-million-acre coastal plain, the biological heart of the refuge, from wilderness protection. They insisted on further study of its oil potential, but another act of Congress would be required before any drilling could occur. Decades of debate followed, with Republicans generally pushing to drill and Democrats generally fighting for continued protections. Before last December, the closest drilling ever came was 1995, when President Bill Clinton dramatically vetoed a Republican-passed bill. Meanwhile, U.S. Fish and Wildlife Service biologists have long been caught in the middle, issuing scientific opinions supporting further protection but staying clear of the political fray. The refuge, in northeastern Alaska, protects nearly 20 million acres of land and water. While this 60-year conservation history clearly matters, it’s just a blink of time for the Gwich’in people, who have lived in the area for millennia. Their traditional lands sweep across the Arctic Refuge, and they call its coastal plain “the sacred place where life begins.” It is the calving grounds for the 190,000-strong Porcupine caribou herd, which has fed generations of Gwich’in people. But more than nutrition, the caribou are embedded in the culture, as essential to the people as salmon are to Pacific Northwest tribes, or bison are to the Sioux. The Gwich’in have long argued that drilling in the refuge violates their civil rights. Yet an even deeper time is also palpable on the refuge. I once spent 10 days on one of its wild rivers, floating from the Brooks Range to the Arctic Ocean. On the coastal plain, often called the “American Serengeti,” we saw grizzly bears grazing on tundra, groups of caribou ambling along ancient migration routes, and a small herd of woolly muskox standing beside the river, like quiet visitors from the Pleistocene. One morning, a wolf trotted through camp. And the birds we saw, including loons, sandpipers and others, represented over 200 species that disperse from the refuge late each summer to enrich beaches, backyards and wetlands on nearly every continent on Earth. Sharing a landscape with such an untrammeled community of life inspired tremendous humility. We understood Mardy Murie’s statement that the refuge “is itself, for itself,” and the experience will forever remind me of the essence of America’s public lands. Although commerce often escapes our mind when considering protection of the Arctic Refuge, it’s worth noting that visitors there fuel small businesses, contributing to Alaska’s lucrative recreation and tourism economy. Yet Alaska’s congressional delegation scorns the place as a “wasteland.” This deception only serves the world’s richest oil companies. That’s the intersection we’re at today. 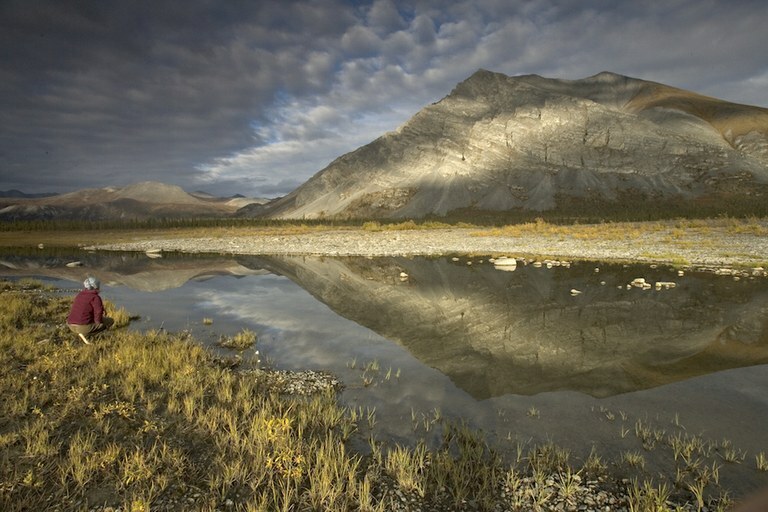 But we now have a brief opportunity to remind the Interior Department of the many harmful consequences of lease sales on the coastal plain of the Arctic Refuge. The sales threaten fish, wildlife, clean water, small businesses, trans-boundary conservation, and Alaska Native cultural and subsistence rights. And, of course, there is the added greenhouse gas pollution at a time when U.S. oil production is soaring and the global climate is destabilizing.